We are pleased that your son or daughter is considering taking their next step towards building on their education and developing their future career at Northern Regional College. At the College we offer an adult environment where students can take control of their learning. Your son or daughter will have access to a broader range of subjects than ever before, giving them the chance to study what they’re passionate about on a learning programme that will work for them. As well as combining theory with practical learning, our courses incorporate tuition from industry professionals and work placement opportunities designed to boost career prospects and employability. Whilst we encourage self-management and independent learning, the College surrounds students with a solid support network. We have pastoral, financial and careers advisors to guide students through every aspect of their journey, creating a smooth transition for students coming into college and preparing them for university or employment. What are the main differences between College and School? To help provide a more mature and relaxed environment students are not required to wear a uniform. Each course timetable varies, however students are typically timetabled for 4 days between Monday to Friday starting at 9.00 am. Some courses finish at 5.00 pm. Our timetable approach is not rigid to encourage self-learning and self-motivation for students which will help prepare them if they progress to university. BTECs are tailored to specific industry needs - they provide you with the exact skills necessary to either progress directly into employment or study at a higher level within that area. With BTECs you study one subject area comprising of 16-18 modules around that topic for the duration of the course. BTECs are largely assessed by assignments and practical projects whereas A Levels are 100% exams. If your son or daughter is aged between 16 and 19 (of commencing academic year) and enrolled on a Further Education course they can apply for EMA. This is means tested. Students will receive £30 per week paid fortnightly, to help with the costs of continuing education. 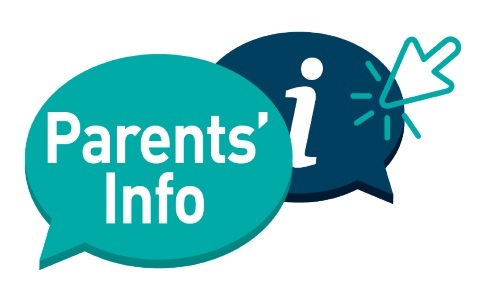 If your son or daughter is aged 18 or under on 31 July (of commencing academic year) and have a parent in receipt of certain benefits they may be eligible for free meals. Students will receive meal tickets at the start of each week that can be exchanged for food and drink in the College canteen. If your son or daughter is aged 18 or younger on 1 July (of commencing academic year) and on a full-time Further Education course they can apply for a travel pass. This is not means tested. This pass will enable your son or daughter to travel to and from the College without charge. Other criteria and age restrictions may apply. Many of our lecturers continue to work as industry professionals and offer extensive knowledge and experience of their specialist area. All subject areas are delivered with the latest equipment and facilities to meet industry standards. All courses are designed to provide you with the skills required to meet the needs of employers with work placement as a core component of many courses. Our courses offer exceptional progression routes. Qualifications are available from Level 1 through to Level 6 (Higher Education), all within the College. You can move onto more advanced qualifications in the same subject area or into new areas. The College has excellent links with local, national and international employers who provide students with valuable placement opportunities, guest lectures and site visits.